Live’s new free update to version 10.1 adds many new upgrades and improvements. This update is free for all users. It always amazes us how many free updates Ableton gives their customers between every major release. This update (only 10.1!) features custom wavetables, new Delay and EQ devices, VST3 support and much more! It is now possible to load your own custom audio files to use as wavetables. Simply drag any audio file to the wavetable view and Live will convert that file to be used inside Wavetable. Under the wavetable categories we can now find the User folder. We got two new devices but we also lost two to avoid redundacy. Let’s check them out. We now have a built-in LFO that can modulate the filter cutoff and the delay time. This new effect is available for all version of Live 10.1. 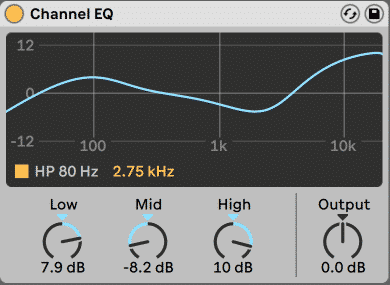 The New channel EQ is a simple 3 band EQ with a quick high pass filter (80Hz). The curves will change according to how we set the controls which will result in very musical EQ. Available for all versions of Live 10.1. Ableton Live 10.1 comes packed with many automation improvements. We can now highlight an envelope and morph it using the handles. This new features let’s us create complex envelope shapes faster than ever! When using the pencil to free draw (grid is turned off) Ableton will now create less points and detect curves to make the envelope more manageable and editable. For complex envelope with many points we now have the option to Simplify Envelope by highlighting the envelope and choosing Simplify Envelope through the context menu. You can now cntrl+click any breakpoint and choose Edit Value to manually input the exact value for the automated parameter. In the Session View, There are now dedicated buttons to show the automation and modulation. There are also different colors for each mode to help distinguish between the two. H – Pressing the ‘h’ key in the Arrangement View will distribute all tracks heights equally according to the screen space. A new button as been added to the top right of the Arrangement View to allow us to map this keyboard shortcut to MIDI. W – Will zoom out to see your entire project. A new button as been added to the top right of the Arrangement View to allow us to map this keyboard shortcut to MIDI. U – Unfold selected tracks, Option/Alt+U unfold all tracks of the same kind. Option/Alt+U twice to unfold/fold all tracks. Z/X – In Arrangement view Z will zoom in on the highlighted time to make it fit the entire available workspace. X will return the zoom to the previous state. Also works in the MIDI editor. +/- Keys – In Arrangement View holding Option/Alt + “+” will change the track height. F – Will temporarily show Clip Fades. Makes it easier and faster to edit the fades on Audio clips. When moving through the Arrangement with the cursor keys, the view scrolls if necessary to keep the selected track visible. Pinch Zooming – We can now use pinching on our Trackpad to zoom in and out. You can also use Option/Alt while pinching to change selected track hight. Works in Arrangement view and the MIDI Editor. Arrangement Overview – The Overview bar can now be resized. Clip Detail Improvements – Arrangement clips are now more detailed with dynamic sizing depends on amount of notes and the ability to see the Grid behind the clip even if the Automation lane is hidden. Ableton now supports VST3!! There are numorous advantages to using VST3. You can now enable VST3 through the preferences new Plugin tab. Check Here for more info about VST3. 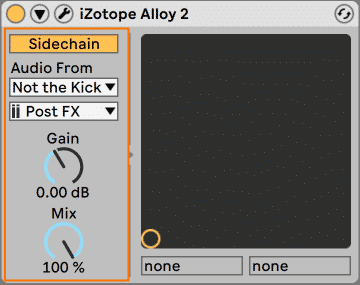 Speaking of side chain – the endless struggle of freezing tracks that are side-chained is over!!! You can now freeze tracks that use side-chaining. Thank you Ableton lords. Another annoyance that was resolved is the ability to export individual tracks with the Return effects and master track effects! 0 responses on "How To Use The New Features In Ableton Live 10.1"